I have been really loving different Japanese prints lately. 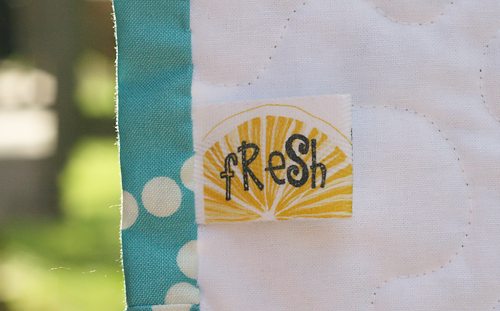 They are just so cute and perfect to use as a design centerpiece for children's quilts, especially for little boys. I picked up this great orange print recently and knew exactly what I wanted to do with it. I used long strips so the design wouldn't be interrupted and coordinated with various geometric prints. 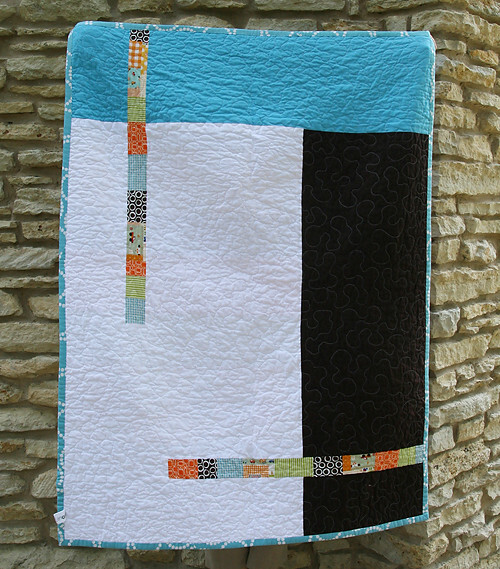 This quilt features fabric from Denyse Schmidt's Katie Jump Rope, Lizzy House's Red Letter Day, and a couple Monaluna Mingle prints. I just love the look of all the prints and colors together. I'm so sad a few of them are out of print. 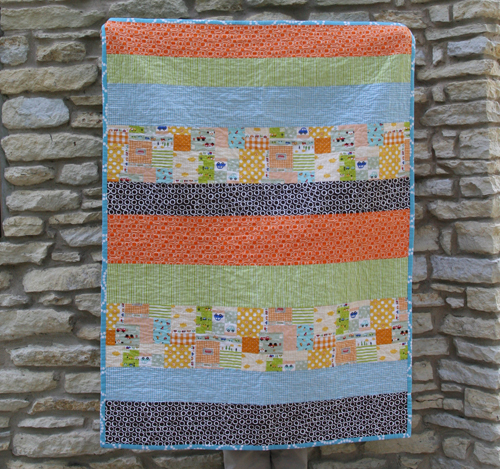 The back of the quilt has several coordinating solids and a couple modern stripes featuring each fabric from the front. I secretly might like it more than the front! The binding is another fabulous print from the Lizzy House Red Letter Day collection. 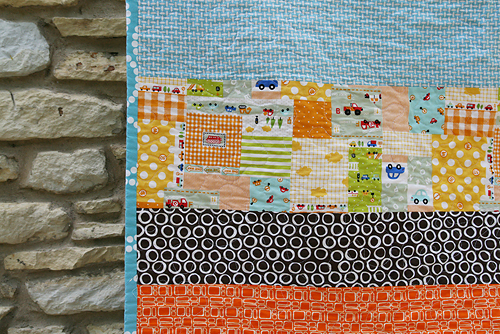 Quilted in a free motion design, it is crinkly and soft. It measures 40" x 51". And I added one of my new tags! 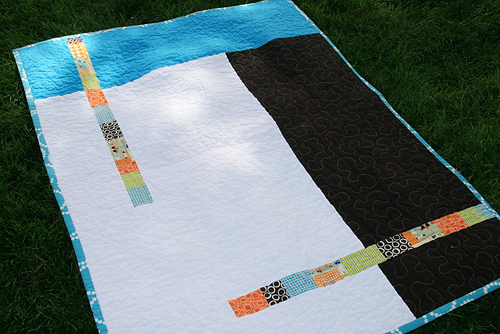 This photo is from before I washed the quilt. It faded a bit in the wash, but my husband says he thought it still looked great so I'm going to keep putting them on the quilts.